The Fantary Witches were witches who sought power in the ancient days of the Earth. Long before humanity evolved into the secular society it is today, the Fantary Witches threw themselves into ancient, spiritual work which would render them beholden with the power to become creatures of prey. 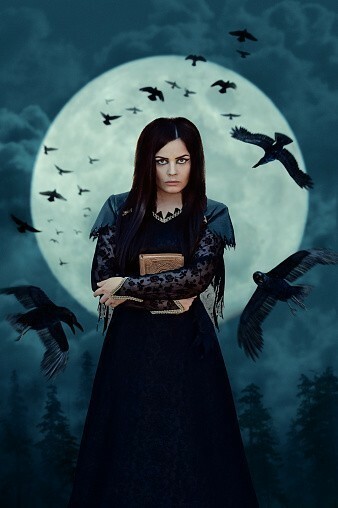 The Fantary Witches were largely a female population as they sought refuge in times when women were not thought to be able to defend themselves; they proved the world wrong. They did have males amongst their community but they were fewer and less common. The Fantary Witches were once human, transformed by the ancient power they wielded into shape-shifters of creatures who could command amazing power and influence. They will help you understand & work with magic on a personal and exciting level. They are incredibly powerful and ascended to heights few people alive on Earth will ever know. I just received my own custom-conjured male Fantary Witch and he is so extraordinary! He is very powerful and bonded with me only a few minutes after I touched his vessel and welcomed him. He seemed to come right over my body, so I could almost feel him. He said he was preparing me for what he is about to teach me. From the first moments he seemed to know everything he needed to know about me, and I feel like we are friends already. He is smart and very quick to size things up (including me hahaha). He is powerful enough for me to hear him easily and he makes me feel so happy to have him close. I highly recommend everyone to have at least one Fantary Witch, you'll wonder what you ever did without one. Thanks CH...what a beautiful, wise and magical companion he is. Advantages: Loves to teach! Smart, savvy, instinctive, compelling, big personality, knowing, amusing, straight-forward and incredible! I received a fantasy witch as a freebie. I didn't know what that was, exactly, until I came across this listing. My witch is extremely powerful. She explains things to me and helps me when I do a spell or ritual. She also casts for me. She knows that I love Halloween and sent a black cat to my front door to surprise me last week :) I adore her. Advantages: Great magical helper and teacher. Wise council.